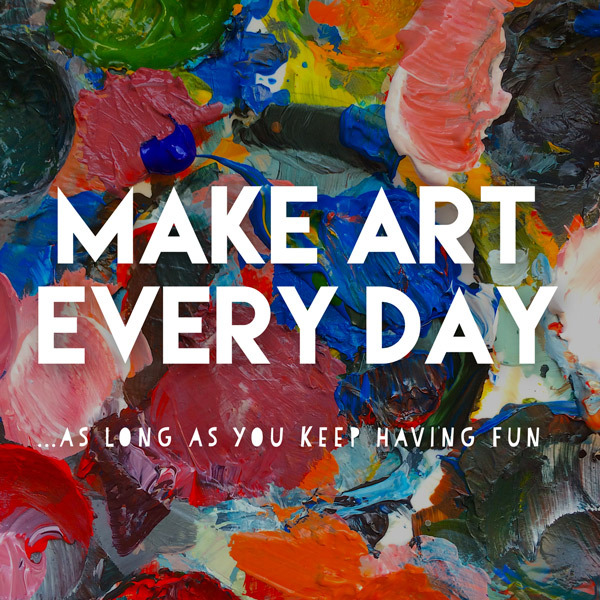 Make art every day …with some additions and exceptions. I’ve been making art pretty much daily for four years and this is some stuff I’ve learned along the way. I started 2014 with the new year resolution that I would draw every single day. You can check my Tumblr blog Sketch a Day Keeps the Doctor Away from that year for the proof. When I flipped trough the blog I noticed a lot of drawings about not really wanting to draw but still doodling something. Like this marker doodle below. I’ve even written on it “must draw something“. When starting a new habit it’s not necessarily easy. It’s like doing exercise: it’s not always fun to go for a jog even though you know you’ll feel good afterwards. The same applies to drawing. Sometimes you don’t feel like it. Actually a lot of days when I’m tired and in a hurry I have no desire to create anything new. But if I just take out my pen and paper I know I’ll soon get into the flow. If some days the inspiration does not appear I don’t have to push it. Also the idea that you would need to create only good enough work to show in your social media is a killer. It’s better to make art every day and NOT post art every day. It’s so important to make messes too. Rip the paper. Throw it to the garbage. It’s ok. Now days I rather do not post stuff like above – or if I do only in the Instagram stories where it will disappear in 24 hours. I’ve also learned that it’s no use to stress myself more than I’m already stressing (being a semi-sensitive person like we all are). It’s good to set yourself personal goals – like making art every day – but it’s also important to be flexible with the deadlines. There’s lot of deadlines in life that you must meet: like the ones for work, school, galleries and submissions. The deadlines for yourself must only stay as a guideline not as a law that you punish yourself for. 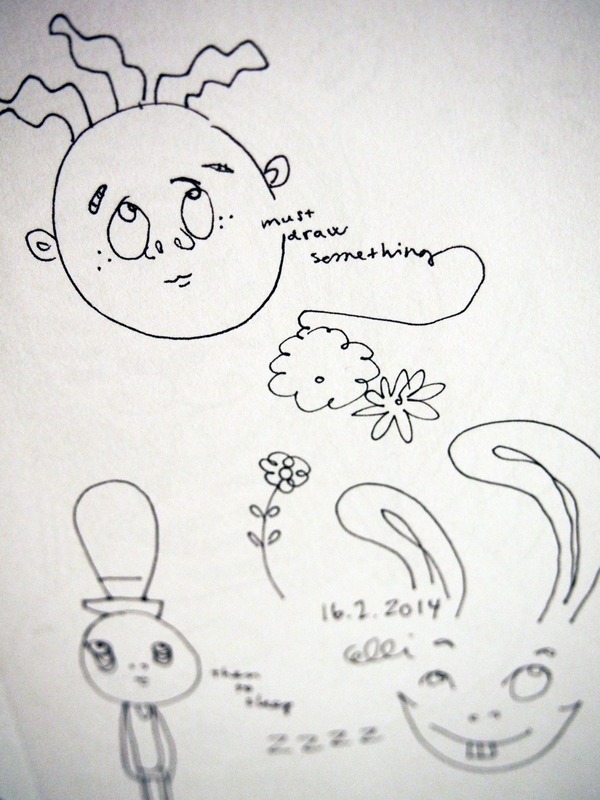 It’s no use to give yourself hard time if you didn’t draw that day – or even that week. It happens. More important is to keep the fire going. Keep it interesting. Keep it fun. But it’s not ALWAYS fun since sometimes making art is more like solving a puzzle. As I mentioned before the starting part might be hard. You also might run into bumps along the way – when the pen doesn’t do what you want it to do. If that happens go have a cup of tea and come back. 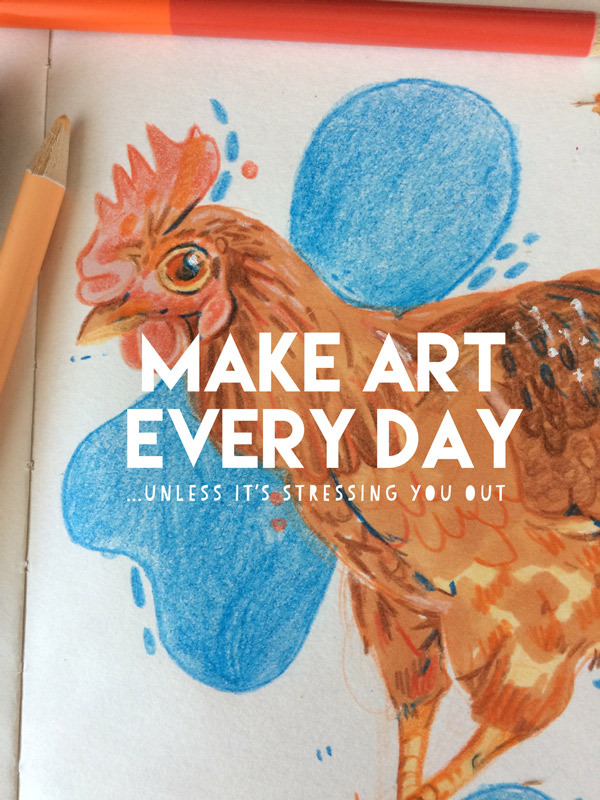 When making art is your work, it’s also feels like work: waking up in the morning, meeting the deadlines etc – but you need to keep the childish joy in it. Creating something your own is fun. Kids know that. We have to remember it too. …Since living is art on it’s own. It’s easy to run out of inspiration if you don’t ever leave your studio. 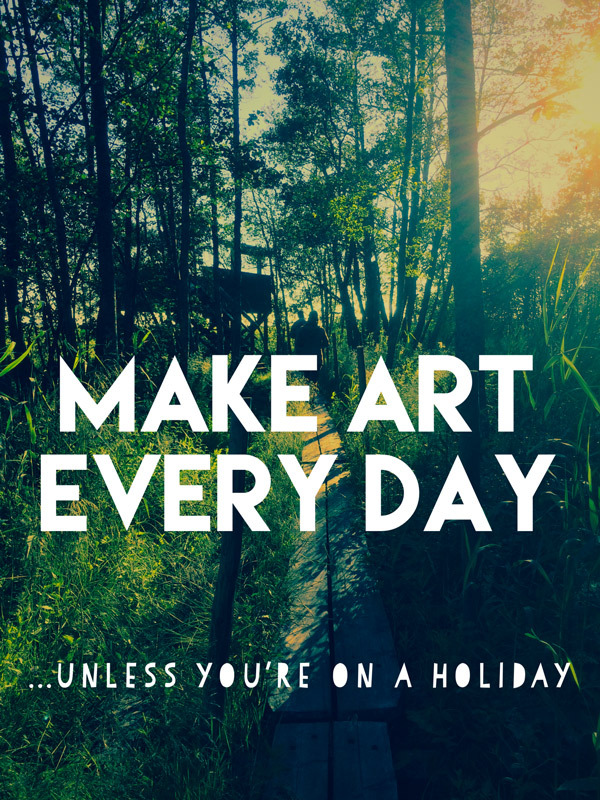 Travelling, spending time with your friends and family and consuming culture is as important as making art. Living your life and observing the world around you is what makes your art unique. The hours spent on drawing board are important – but not the most important part of being an artist. Our task is to transmit so we should stay involved in our communities. I started to draw daily to improve. If you’re serious about making art – you want it to become you’re profession – it’s not enough to make art once in a while. 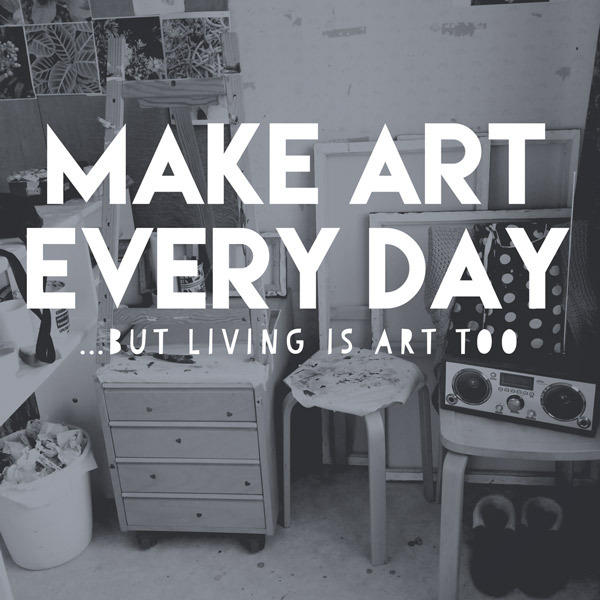 The more you make art – draw, paint, make collages – the better you become. 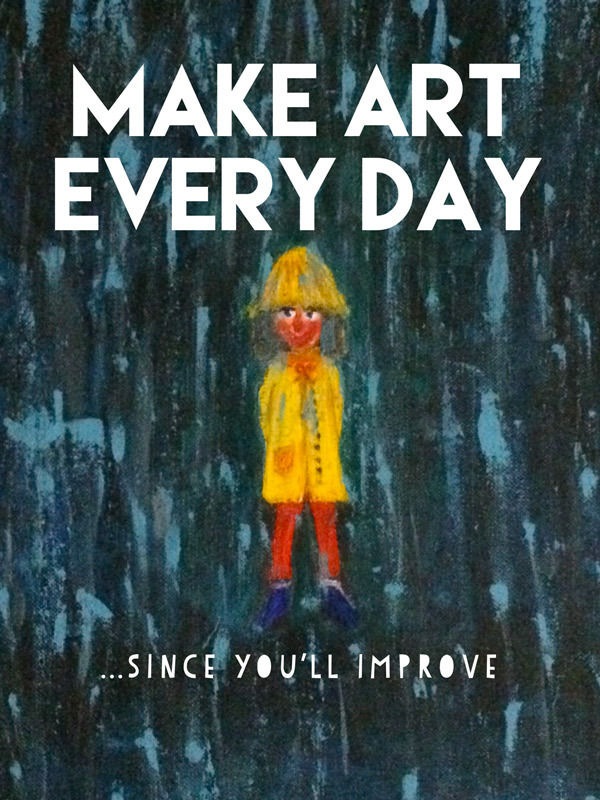 So making art every day is the most certain way to improve. In my blog post How To Learn Art you’ll find some tips and tricks to get you starter. 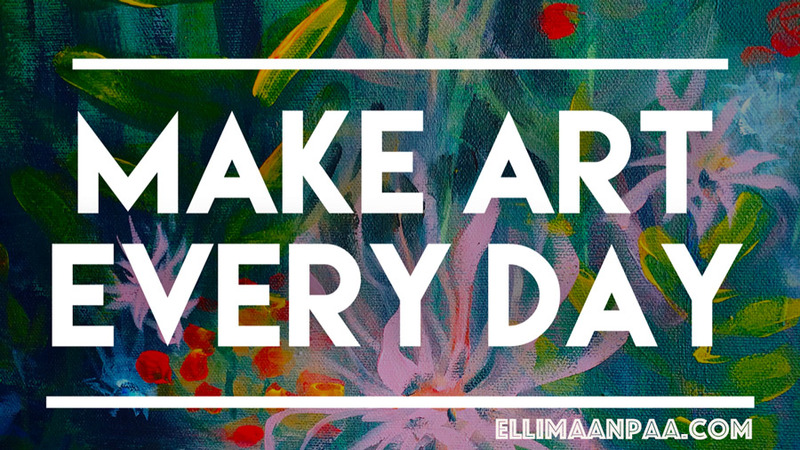 I make art every day – since it makes me feel good. The painting above: Girl in the rain I’ve done with oils 2003. It still pretty much sums up my life purpose: making art and smiling, even when it rains. 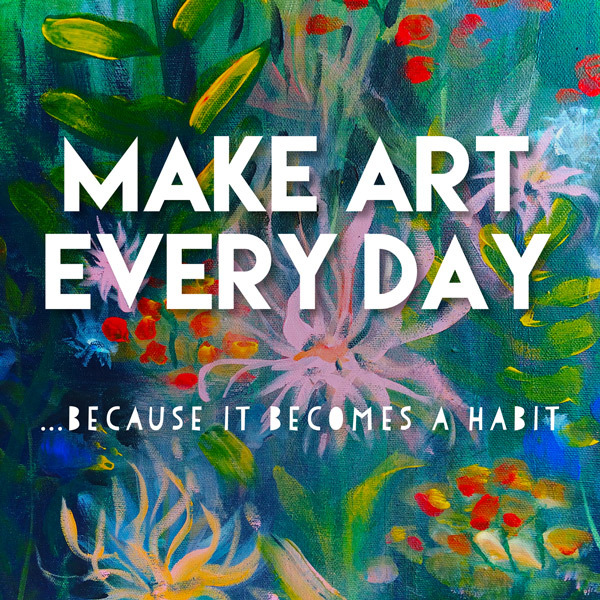 Is making art every day everyday activity to you or do feel it’s simple impossible? Let me know in instagram or facebook. Have wonderful summer week!